After celebrating the 4th of July holiday in Colorado, an intense hike was a much-needed repentance for too much BBQ goodness, and a justifiable excuse to take advantage of the state’s beautiful outdoors. 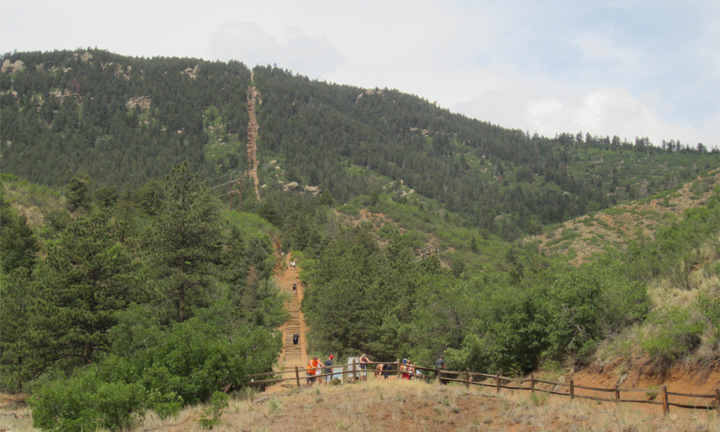 I knew the Manitou Springs Incline would be tough, but how tough was another story. Often referred to as just “the Incline” by those adventitious enough to climb it and those smart enough to avoid it, the hiking trail is located in the charming town of Manitou Springs at the foot of Pike’s Peak, just outside of Colorado Springs. The Incline’s history dates back to 1907 when a funicular was built up the mountain to provide access to a hydroelectric plant at the top. The following year the rail was turned into a tourist attraction, which it remained for decades until it was destroyed by a rockslide in 1990. The rails were removed but the wooden railroad ties were left in place to prevent erosion. Despite the “No Trespassing” signs, the trail became a popular spot for physical training and hikers alike (including Olympians due to its proximity to the U.S. Olympic Training Center). 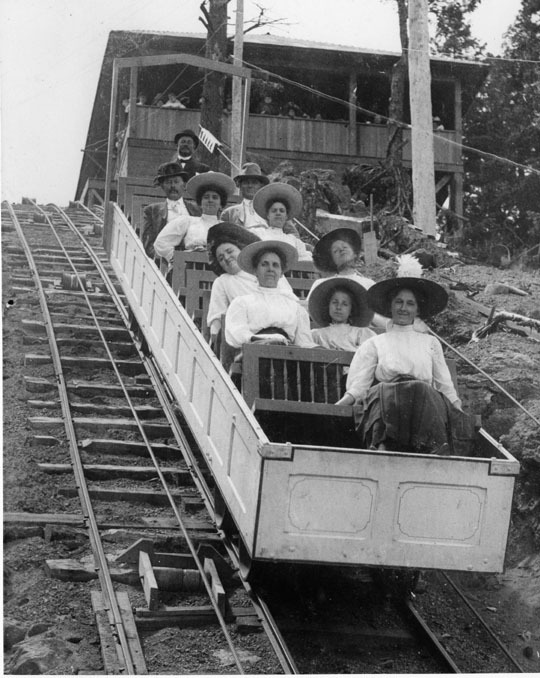 It wasn’t until February 1, 2013 that the City Council approved the legal opening of the Incline. From the start we were in for a good workout. I would like to think that I’m in fairly decent shape, but the Incline definitely gets your heart pumping since you’re climbing a lot of elevation over a short distance – about 2,000 feet in less than a mile. Parts of the trail are extremely steep and some parts are not very steady, especially in places where remnants of the hydroelectric pipes are exposed. About 2/3 the way up there is a ‘bailout’ that ties into the Barr Trail, and about 3/4 of the way up there is a ‘false summit’ where you think you’re close to the top but instead the trail keeps going. With people of varying ages and fitness levels attempting the hike, the Incline is a great equalizer, spawning a feeling of “we’re all in this and suffering together” camaraderie. We reached the top in about 1 hour and 15 minutes, including about half a dozen short breaks for apples and Clif Bars, water and much-needed brow wiping. From there you can continue for about 9 more miles to the summit of Pike’s Peak (if you’re crazy), or catch your breath while taking in the great view with your fellow hikers. Then head down via the Barr Trail, which takes about an hour to reach the base where you started. Only now that I’m sitting in the comfort of my air conditioned home, can I say that the Incline was a challenge, but one that I’m definitely up for again.